As we continue in Round Two, a commercial corridor faces a hospital and a stadium goes up against an isolated transit center. Last week's victors in the Northern and Prince George's Divisions return to see which dismal parking lots will advance to next week's semifinals. FedEx Field Image by the author. Ask anyone who has attended any sporting event or concert at FedEx Field, and they will likely have a horror story about the parking lots surrounding the monolithic stadium. Despite simple access to the Beltway and US-50, egressing FedEx Field after an event is often a frustrating ordeal. These tribulations undoubtedly factor in to Sporting News ranking the stadium 31st out of 31 NFL stadiums last year. Athlon Sports even cited transportation issues when it ranked the stadium 29th out of 31 last year. In fact, many, many media outlets have identified FedEx Field as one of the worst stadiums in the NFL. Often, if not ranked last, polls will only place it above the temporary stadiums currently used by three California NFL teams. The NFL's presence in Prince George's County has worn thin. 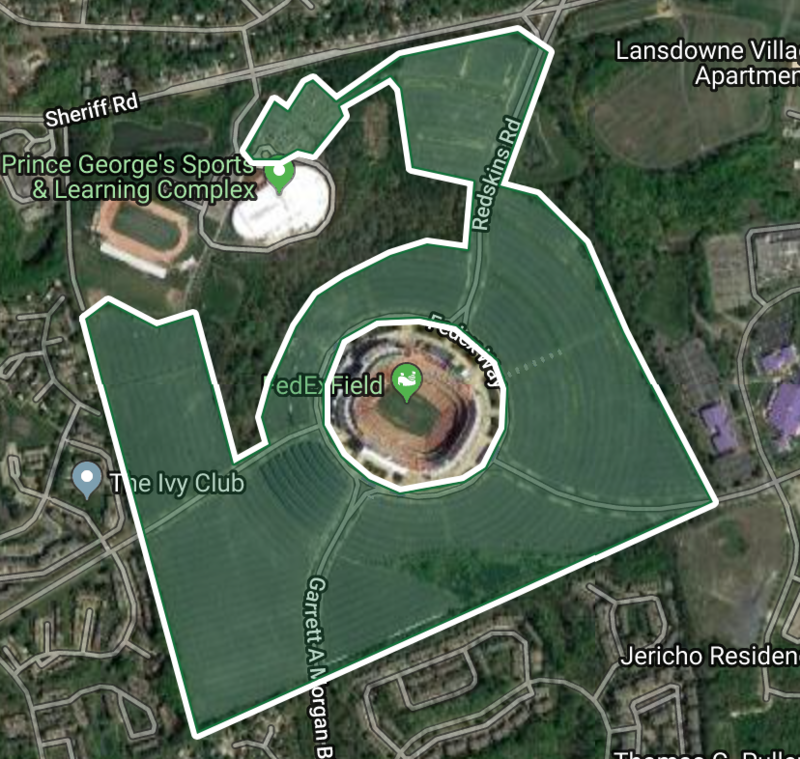 Maryland Governor Larry Hogan recently shied away from keeping the team in the county with another isolated stadium monstrosity at Oxon Run park. Maryland does not need another 160 acres of seldom-used lots dropping polluted runoff into its fragile watersheds. New Carrollton Image by the author. With over 3,500 spaces, New Carrolton has the fourth-most parking of any station on the Metro system, and the most inside the Beltway. 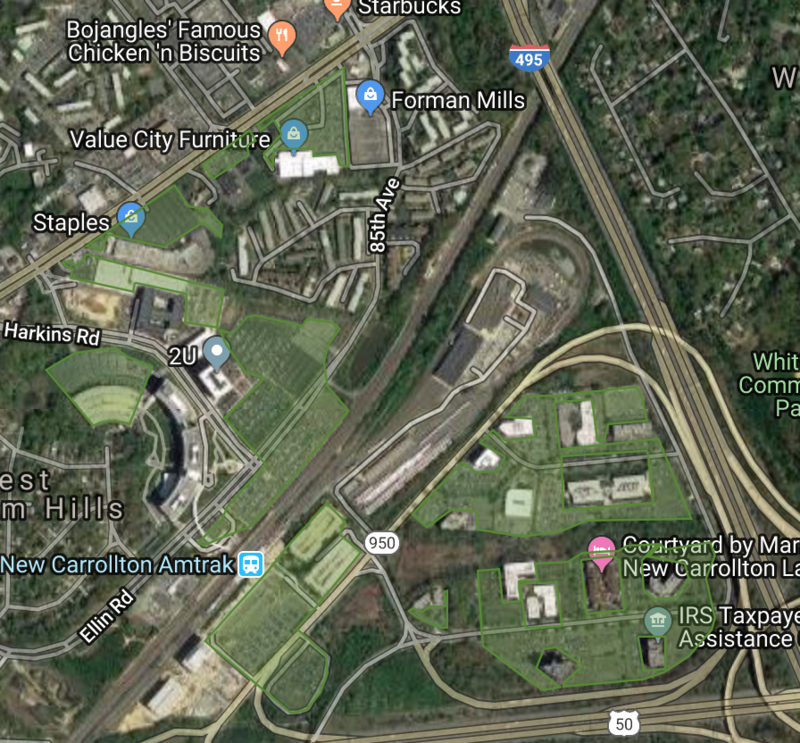 Some of those spaces will soon welcome Kaiser Permanente to a new office complex on the site, attracting jobs and growth to the underutilized land at New Carrollton station. The desert of vehicle storage contributes to a desolate and uninviting space unfit for the vicinity of a high-service, multi-modal train station. The area will hopefully continue to bloom with the addition of the Purple Line terminus scheduled for construction. In the meantime, the station sits amidst a square mile where there is little to walk to, and even fewer safe ways to walk to them. Hopefully New Carrollton will develop into a gem of transit-oriented development. Until then, the station will remain predominantly useful for drivers and commuters transferring there. Inside the Beltway, Montgomery County has done a stand up job keeping parking craters few and small. So it should not come as much of a surprise that of the two remaining parking blights from the Northern Division, one is entirely in DC and the other is mostly in Prince George's County. 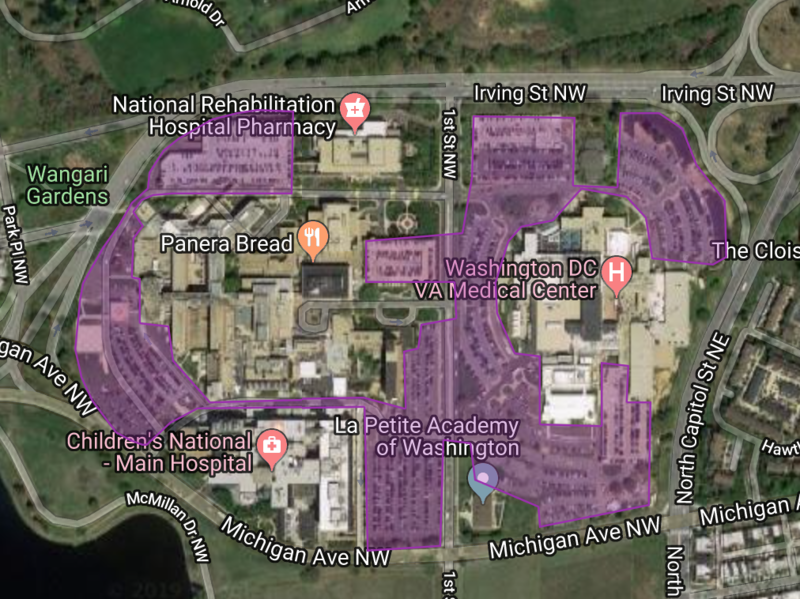 One would hope that the parking at the Washington Hospital Center would be consolidated into a garage so that the site can be more walkable and navagable. But the only development that has come to the medical campus recently is a new parking garage immediately adjacent to Brookland Metro station. Hospitals are exceptional opportunities for transit use because they have many employees and visitors who come and go all day long. Yet despite reasonably close Metro stations and ample bus service, the area around the hospitals is maximized for cars. Langley Park commercial corridor Image by the author. The problems of the Takoma-Langley corridor remain obfuscated by the fact that it straddles a county line. 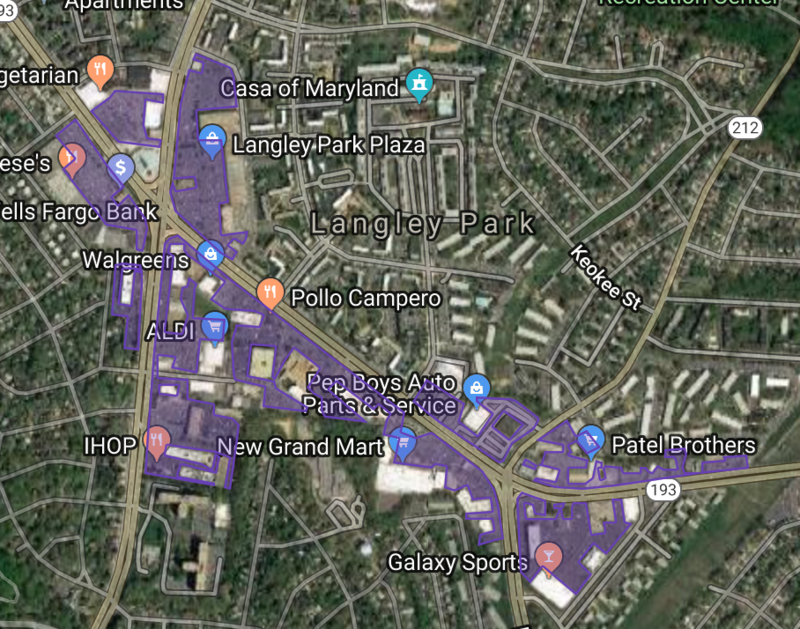 The Montgomery County (Takoma) end of the area has a sector plan already, but unfortunately, the much larger Prince George's County (Langley Park) section has seen little in terms of transit-oriented development planned around the two new Purple Line stations that will be delivered soon. Complicating the matters further, concern about pricing out a vibrant immigrant community swirls up fear for whatever development may come next. Unfortunately, that fear overshadows the terrifying safety record. With the Purple Line likely bringing more pedestrians to the area, the massive parking lots enticing more drivers to the area will continue to exacerbate dismal safety conditions. Voting continues next week as we get set for the penultimate round pitting the winners of today's matchups against Monday's. 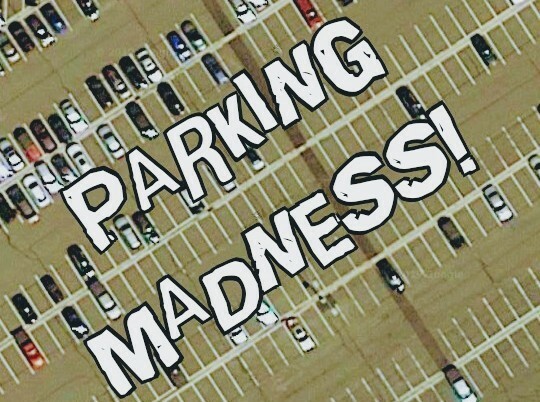 Where are the worst parking craters inside the Beltway? Keep voting, and find out next week.